Garage door openers, regardless of their make and type, require regular maintenance and upkeep. Because these equipments have different moving parts, with each part serving different functions, these need to be cleaned and lubricated. 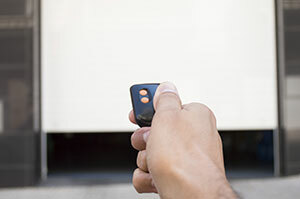 While there are lots of commercially-available garage opener lubricants, the truth is that most door parts can be protected by simply using cheap and readily-available household oil. However, make sure you are using the right type of lubricant, because if you use the wrong one then it may damage and shorten your door's operating life. Here are a few helpful ideas on how to lubricate garage door rollers. The garage door's rollers and hinges are the most important parts which require lubrication. For these parts, you could use light motor or household oil, instead of grease and heavy oil. Remember that grease only attracts a lot of sand and dust, and these abrade the rollers. To lubricate the garage door hinge, place a few drops of oil at each hinge's seam, and add a few drops of oil to the outside of each roller pin. After applying the light motor or household oil, you should try opening and closing the door at least 2 to 3 times to effectively distribute the lube. To lubricate the door openers' other parts, apply a few drops of light oil to the bottom of the door where the tension cables connect with the tension pulleys. If the door has a tension spring, place a few drops of light oil across the top and use a silicone spray for preventing corrosion. Garage door repair Laguna Beach experts stress that homeowners should reapply the light oil lubricant every 6 months, to ensure that the door's safety features are properly working.